[ WARN] [1302487709.525039769]: MessageFilter [target=/odom ]: Dropped 100.00% of messages so far. Please turn the [ros.gmapping.message_notifier] rosconsole logger to DEBUG for more information. [ WARN] [1302487769.536334306]: MessageFilter [target=/odom ]: Dropped 100.00% of messages so far. Please turn the [ros.gmapping.message_notifier] rosconsole logger to DEBUG for more information. Could you give any advice how to fix it? Your message got stuck in the spam filter. I found it by accident today. It is difficult for me to give you a conclusive answer since I don’t know what you replaced the arduino node and controller with. The transformation between the base_link and the map frame is established via the odom messages (including transformations) that are published by the arduino node. 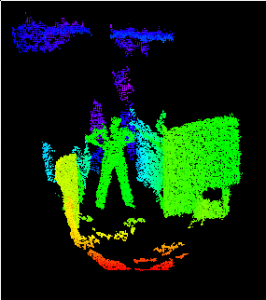 Can you publish more detail about your Kinect installation for ROS? 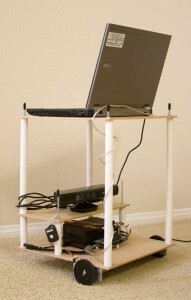 And I would like to learn how to connect kinect with a laptop without any AC connector. My unique reference is turtlebot, but ROS use roomba to get energy to Kinect. PS: Do you receive my personal emails? For the battery, do you think that this battery is enough for Kinect? While running the SLAM algorithm the robot needs to be manually driven around. For this I either simply push the robot manually or I drive it via the game controller. Once the robot has seen enough of its surroundings you can complete the SLAM process and save the map. This concludes the SLAM process. From this point onwards the robot can drive autonomously to a specified point in the map. In your reply, you said “For this I either simply push the robot manually or I drive it via the game controller. “. But if you push your robot manually , do your robot send the odometry information to ros? I don’t hava a game controller. So if I push my robot manually during slam demo, my robot will not send the odometry information to ros.So I think I need to buy a joystick to drive my robot during the slam demo.Am I right? In my case I do get odometry information when I manually push the robot. The motors are not powered but the wheels turn and the wheel encoder signals are retrieved. Essentially everything is hooked up; I just disconnect the power from the motors. It is convenient to have a game controller but don’t buy it just for the purpose of doing SLAM. [arduino-11] process has died [pid 16431, exit code 1]. [ WARN] [1328296186.150941419]: MessageFilter [target=/odom ]: Dropped 100.00% of messages so far. Please turn the [ros.gmapping.message_notifier] rosconsole logger to DEBUG for more information. what does it mean? could you help me correct it? After the completion of the build you should see the generated python wrapper files in /ardros/src/ardros/srv. Dr. Rainer, now i’m getting this on console, also i wanted to know if the default configuration in rviz for grid, fixed frame, laser scan and axes are the ones that i should use or if i must change the topic of those. [arduino-11] process has died [pid 1789, exit code 1]. [ WARN] [1328632831.885187166]: MessageFilter [target=/odom ]: Dropped 100.00% of messages so far. Please turn the [ros.gmapping.message_notifier] rosconsole logger to DEBUG for more information. [ WARN] [1328632891.888258715]: MessageFilter [target=/odom ]: Dropped 100.00% of messages so far. Please turn the [ros.gmapping.message_notifier] rosconsole logger to DEBUG for more information. [ WARN] [1328632951.888695502]: MessageFilter [target=/odom ]: Dropped 100.00% of messages so far. Please turn the [ros.gmapping.message_notifier] rosconsole logger to DEBUG for more information. I just published a new post Ardros – Transform Between base_link and the Kinect Sensor which might be helpful for you. Please have a look at the image that illustrates how the various coordinate systems (frames) are connected and then analyze the tree on your system. I suspect that the odometry frame is not hooked up in your case. As you said, the connection between odom and base_link is missing, how do i create a connection between those??? Hi Dr Hessmer, thank you for taking the effort to create this blog. It helps me ubderstand ROS pretty quickly. By the way is it possible to post up rxgraph with all topics on? Thank you so much. (Btw I am trying to do this using nxt and kinect instead of ardruino). Thank you so much once again, you are very kind-hearted. I just wanted to know that when we specify the maxUrange to 6 , is it in cm or m? If it is in m then isn’t the max range of kinect to 5 m??? This blog is really very useful for getting SLAM work with kinect and point cloud to lase scan transformation. However, I have a query here, while creating slam.launch file in setting up arduino node here, I am working on turtlebot with roomba base. And I have already started node corresponding to roomba , So, in the launch file I can just omit the node that represents robot with just static_transform_publisher and faked laser part ? Could you please let me know if I am missing something here ? 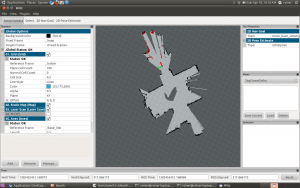 I am doing a project relate to 3D mapping on quadrotor, i am using hector mapping to create 2D map and octomap to create 3D maping.But my 2d slam is not very good i do not know whether it is because my 2D laser scanner (hokuyo URG-04LX) has a very low scan rate which is 10hz. how should add the kinect frame to my previous? 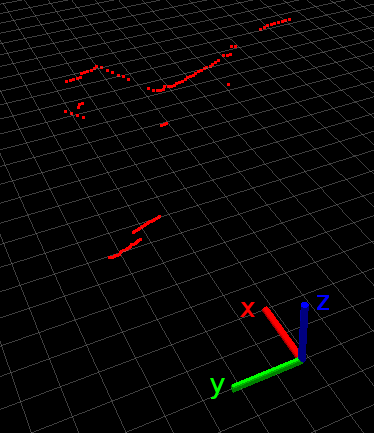 I am doing a project related to 2D mapping and navigation with the hokuyo laser. I have a lot of troubles to make it work. Do you have a begginer code for it or maybe any advice? If you do. I will apreciate your help. I’m running Ubuntu 12.04, ros hydro, openni and now I’m trying desperately to connect my kinect to rviz. My aim is to realize a SLAM algorithm on my Eddie robot, therfore I’m using this guide. The first steps are easy, installing the ros and openni doesn’t make any problems. But after the install process, neither rviz nor openni is able to locate the kinect: rviz says: No tf data. Actual error: Fixed Frame [openni_camera] does not exist.,openni says: no device connected (after using roslaunch openni_launch openni.launch to start the framework.). I hope that you can help me to make it better or rather works perfectly like yours… My goal is to run your works in my hydro ROS as my reference but If it can’t be done, I hiope that in groovy it can works…. I hope other ways to make this 2D SLAM works rather black screen on Rviz or Fatal error. this blog includes amazing and genuinely excellent stuff in favor of readers. Need your a bit of guidance. I am working on navigation using microsoft kinect one. 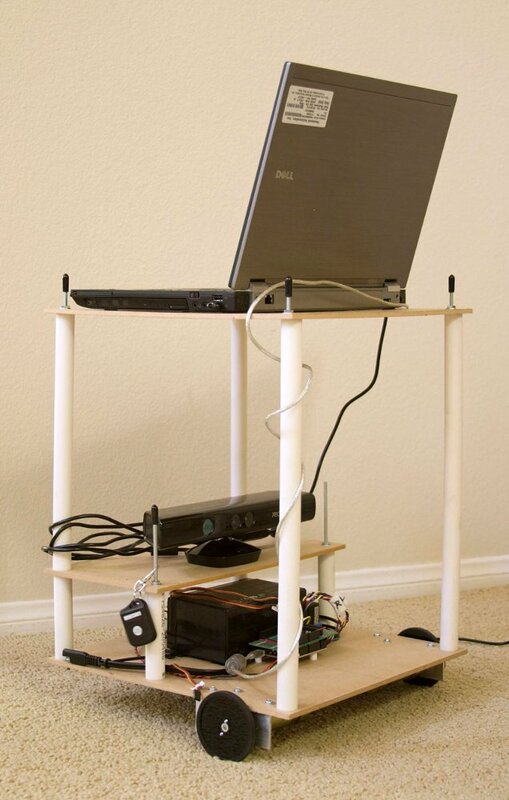 I need a bit of guidance on to how to control the robot motors using microsoft kinect images. how can i run this code with kinect v2? is there any tutorial for that?